While it is true that windows and doors must be installed correctly, prior to this is the fact that the product must be manufactured! The Fabrication of windows and doors is another industry that is constantly evolving and is far more diverse than perhaps initially thought. The vast range of window types include sash, casement and tilt and turn, doors are also available in far more than the traditional style; stable type doors, patio doors and sliding/folding doors to name a few. 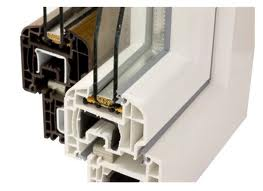 All of these types and styles have to be produced to comply with the requirements of environmental matters, Building Regulations and security issues in various materials and profiles. The demand for wider choice in shape, colour and finish has also added to the complexity of the Fabrication process. Of course efficient, accurate production with minimal waste and delays in production are also key factors in Fabrication Companies. The awareness of environmental matters including recycling is also important, and as consumers demand longer guarantees of products correct manufacture is essential.